In the wake of the defeat of the Hand and the apparent death of Daredevil, Danny Rand – the Iron Fist – has appointed himself the defender of New York. His job is complicated by the growing tension between triad gangs which threatens to spill over into open war. But when a former ally turned jealous rival launches a campaign against Danny to steal the power of the Iron Fist, Rand finds himself having to consider the consequences of his own power. The first season of Iron Fist was slated on release in 2017, in a somewhat over-the-top fashion. Although certainly not a great season of television, the kicking it got in the press (as the worst seasons of television of the year, presumably by people who’ve never watched The Magicians or The Shannara Chronicles) was wildly at variance with its actual quality level, which was mediocre with flashes of promise. It wasn’t even the weakest Marvel Netflix season, an honour achieved by the first season of Luke Cage – an excellent first half followed by a jaw-dropping total collapse in pacing, acting quality and writing – and then outdone by the second (which had four episodes of actual content – which is being wildly generous – spread over thirteen). Still, it wasn’t a gripping show. The martial arts were poor, unforgivable in a show all about martial arts, and trotting out the Hand as villains again (after a feeble showing in the second season of Daredevil) was boring and redundant. Iron Fist Season 2, thankfully, is a vast improvement over the first season. The Hand is gone and the villain is a character we met (as an ally, kind of) in Season 1, allowing a greater and more impressive amount of character development. The first season also depicted Danny as arrogant, entitled and privileged, not to mention a bit whiny. This was developed further in The Defenders and then Luke Cage Season 2, and this season brings that analysis of his character in greater detail. Danny’s journey to work out if he is worthy of the Iron Fist, and its conclusion, sounds introspective and dull, but is actually well-handled and leads to a surprising conclusion that actually leaves you interested to see where they take the character next. Iron Fist still leans more heavily on its guest and supporting cast than on its star, however. There’s no Claire this season, and may not be in the future as actress Rosario Dawson has chosen not to spend so much time in New York (where the Netflix wing of the MCU is filmed). Instead, Misty Knight steps up and transfers over from Luke Cage to play a larger role, mostly fighting alongside Colleen Wing (and again fuelling hopes that a Daughters of the Dragon spin-off series may be in the cards) and acting as a liaison between Iron Fist and the police. The police accepting the powered vigilantes as allies and working alongside them rather than tiresomely (and futilely) trying to arrest them has been a nice development over the last couple of Netflix shows, and that continues here. Colleen has a bigger role this season as well, to the point of being pretty much co-lead, and Jessica Henwick knocks it out of the park. The Meachum siblings also continue having a strong role and the actors do good work (Tom Pelphrey particularly improving over the first season). The most notable newcomer of the season is Alice Eve, playing Mary Walker, a complex and rather challenging role that she handles extremely well (and hopefully will be back in later seasons). In other areas, the martial arts have improved dramatically. The fight scenes aren’t as good as Daredevil’s, but are at least convincing with one really memorable, cool fight (where Colleen and Misty take on a trio of randomly-skilled tattoo artists). As with the first season, the second improves as it goes along, with the last few episodes being particularly good. Fantastically, Netflix have finally realised that not every season needs to be 13 hours long and this season comes in at a much more restrained 10 episodes, which allows for far better pacing and story structure. Certainly the second season isn’t perfect. The main villain is a little one-note and weak, despite being better-established than any previous villain in the setting. 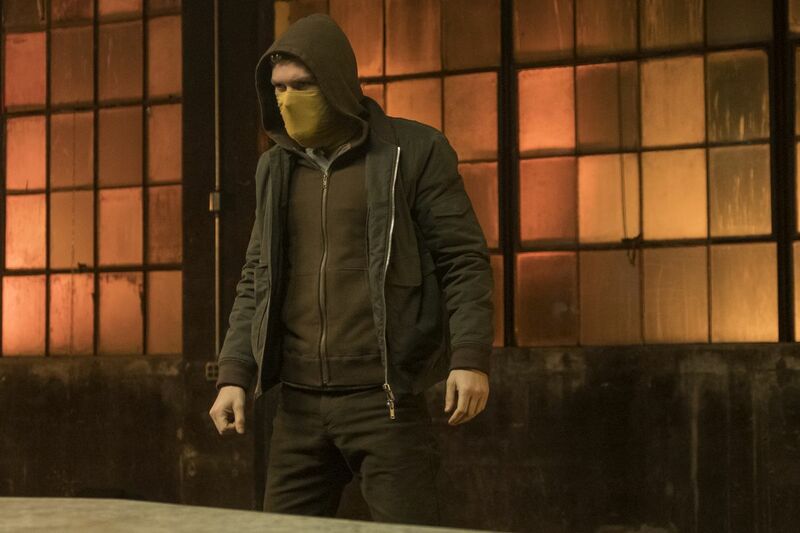 The problem of Iron Fist being the least interesting thing in Iron Fist also continues (despite him being a more interesting character in Season 1). There’s also a deficit of humour in the season, alleviated somewhat by Misty’s analysis of events and then by Mary turning out to have a splendid deadpan streak. Towards the end of the season, when the heaviness of events lifts a little and the characters are allowed to have some fun (Danny and Ward end on what could be a spectacular road trip for Season 3), the show becomes much more enjoyable. Iron Fist Season 2 (***½) is the first Marvel Netflix series to show a dramatic and marked improvement in its sophomore season, with much better writing, acting and action. It’s still not the most compelling series they've made, but at least it is moving in the right direction and – surprisingly – leaves the viewer intrigued at where the story goes next. The season is available on Netflix right now.